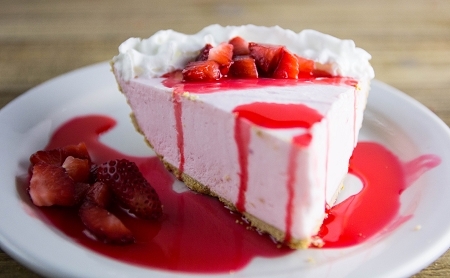 Our no-bake Strawberry Chiffon Cheesecake mix bursts with refreshing strawberry flavor. It's a versatile dessert—use it for cheesecakes, tarts or parfaits. Delicious and easy to make—just add milk, mix and chill.